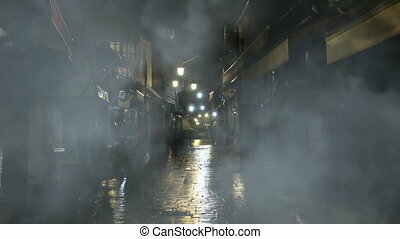 Dark old house alley. 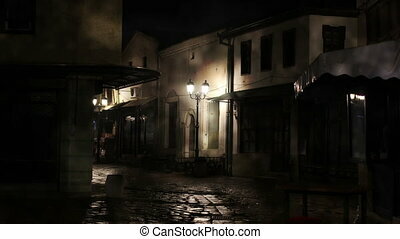 Pan shot of old medieval ruined houses and cobblestone alley, on dark night. 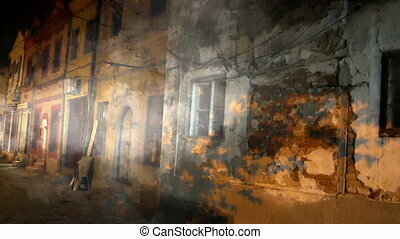 Pan shot of old medieval ruined houses and cobblestone alley, on dark night. 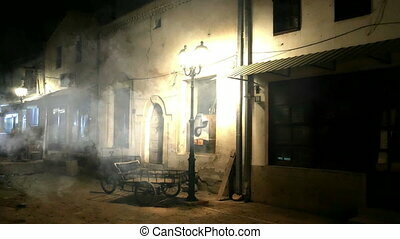 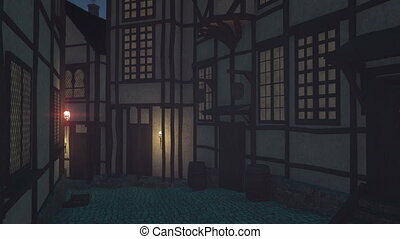 Old medieval houses and cobblestone alley illuminated with torches, at dark night. 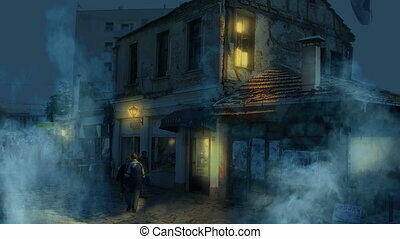 Realistic three dimensional animation. 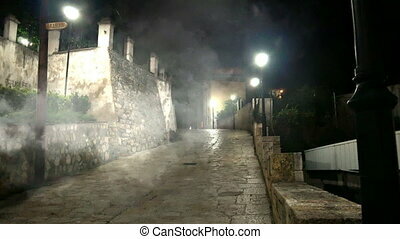 Panoramic view of old medieval street, illuminated with torches, at dark night. 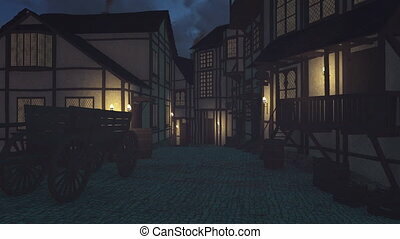 Realistic three dimensional animation. 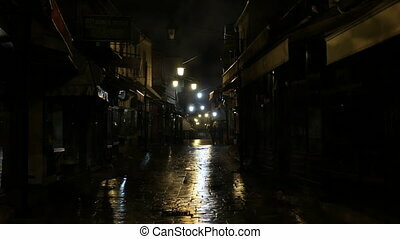 Old houses neighborhood crossroads with narrow cobblestone paved street, on a dark night. 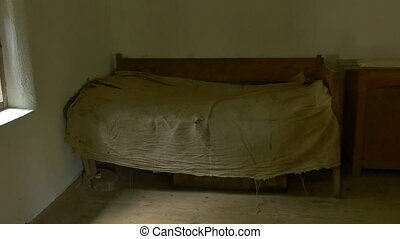 View of an old humble floor and bed. 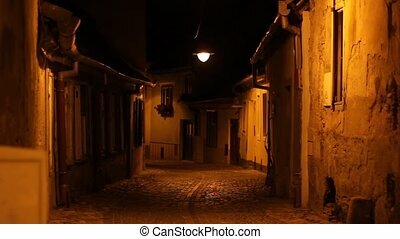 A stone paved alley, between old houses. 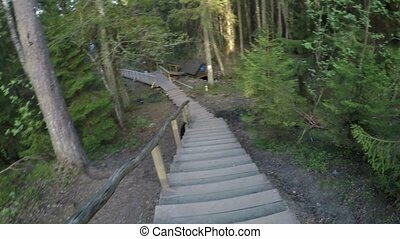 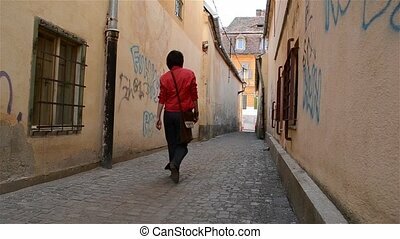 A girl with red shirt is walking through this Middle Ages way. 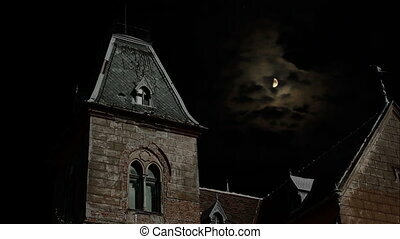 Garret of an old manor at night, with moon in background, suitable for horror/scary/crime films scenarios. 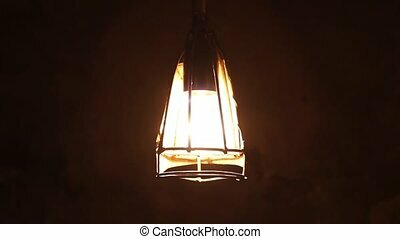 Metal protected rusty lightbulb, in the basement of house, lights to the deep darkness. 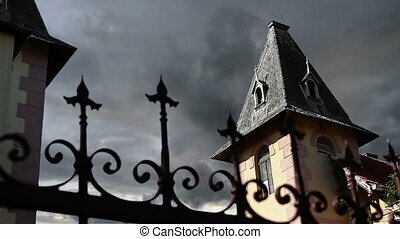 Spire of old mansion, with dramatic clouds in timelapse background, and thorns of a iron fence, in foreground. 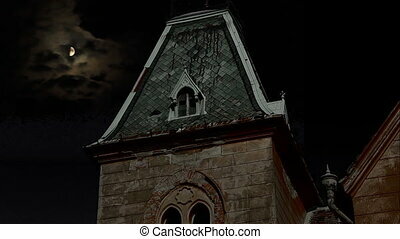 Suitable for horror videos, nineteenth century stories and so on. 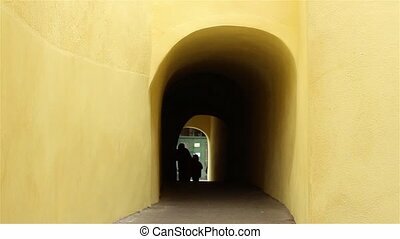 Unidentified people is walking through a dark medieval tunnel towards the light. 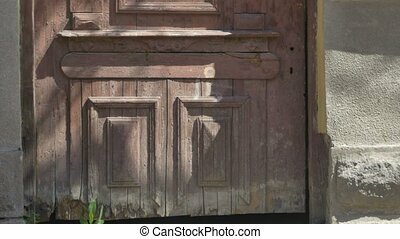 Tilt shot to a grunge wood abandoned house door with top windoes without glass. 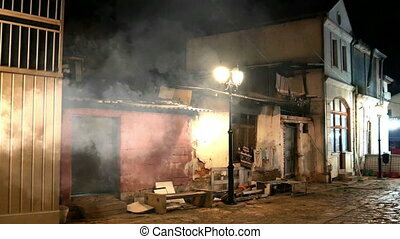 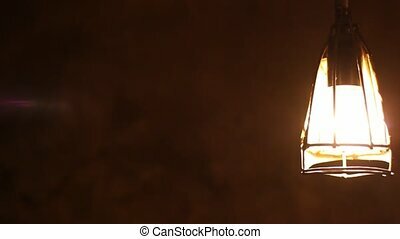 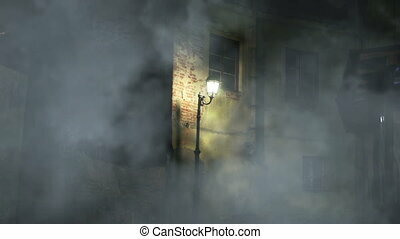 Lamp illuminates old building entrance. 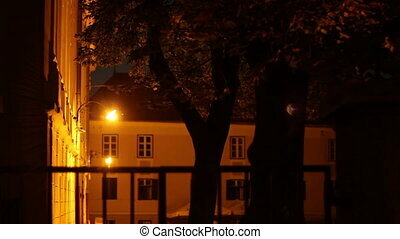 Some bugs swarming near the bulb and leaves gently wave on tree. 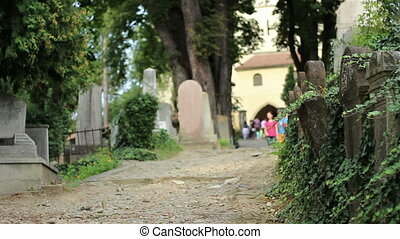 People walking on cobblestone alleys of the old cemetery with tombstones time weathered and large old trees. 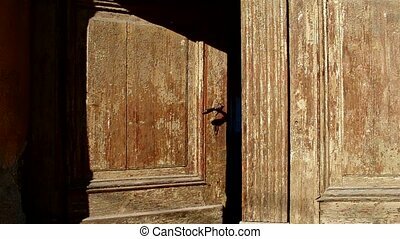 An old wooden door is closing slowly. 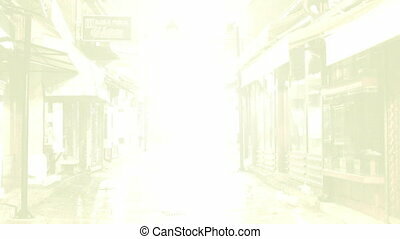 Can be used as a metaphor for hint an ending of something"( era, chapter, story, ideas, facts, phenomena, etc). 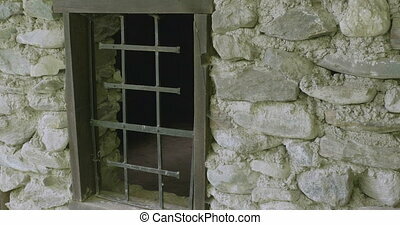 "A new door is open, another is closing..."
Window view of the interior of ol ruined prison cell. 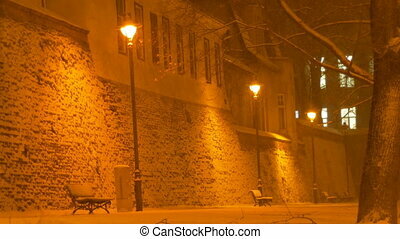 Peacefully snowing near a lamp post and tall citadel wall apartments. 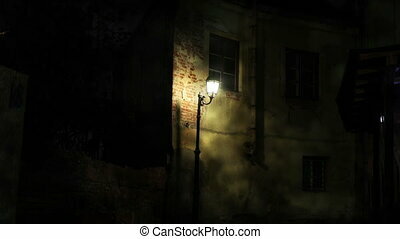 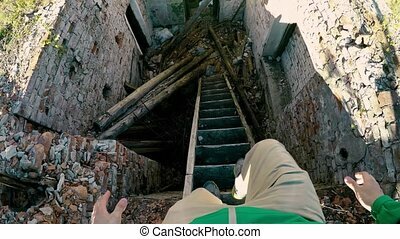 In the dark basement of the house, the power is going to breakdown. 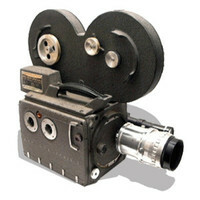 Suitable for eartquakes, disasters, power failures, horror or thriller themes videos.